Members of the General Court Martial recently promoted. Members of the General Court Martial sitting in Makindye were part of the 2031 UPDF officers promoted by President Museveni last week, the Nile Post has learnt. On Monday, the seven promoted members of the army court donned their new ranks as the army court presided over cases. These included Maj.Gen. Joseph Arocha, Lt.Col. Frank Tumwesigye, Lt.Col.Raphael Mugisha(prosecutor), Maj.Richard Turyamuhabwa, Maj.Bbugutanya Kakooza,Maj.Samuel Masereje,Maj. Charles Ssekayita and Capt. Ambrose Baguma. The General Court Martial, according to the UPDF Act 2005 consists of a chairman not be below the rank of a Lieutenant Colonel, senior officers, junior officers, a political commissar and a non -commissioned officer and these members are appointed by the High Command for a period of one year. However, a few other members of the army court were not promoted. The army spokesperson, Brig. 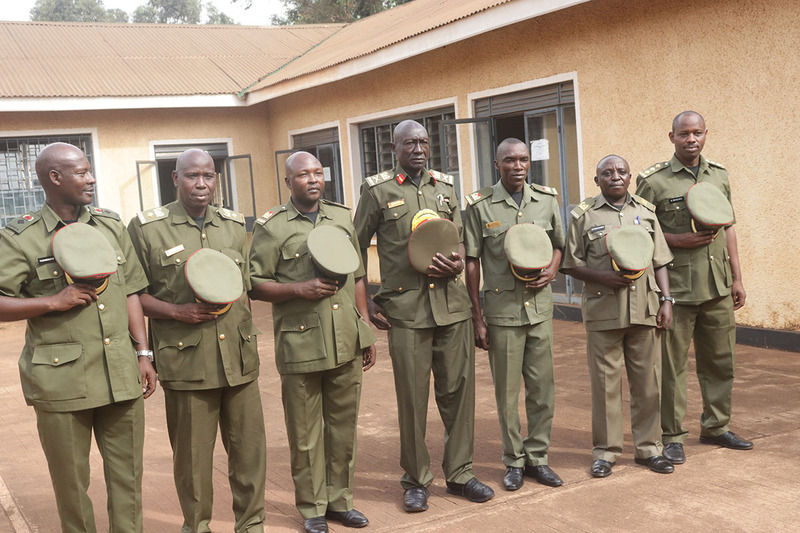 Richard Karemire last week explained the rationale for the recent promotions, saying that 100 officers have been promoted to align with their appointments whereas 97 others have been promoted because they are due for retirement. “130 officers have been promoted for long reckonable record or service, 49 promoted after successfully completing staff course whereas others have been promoted on recommendation by their units,” said Brig.Karemire. The current court members are in charge of the trial of a number of high profile cases including former Inspector General of Police, Gen. Kale Kayihura and several senior police officers. The court is also in charge of the trial of Boda Boda 2010 patron Abdalla Kitatta and a number of his group members.